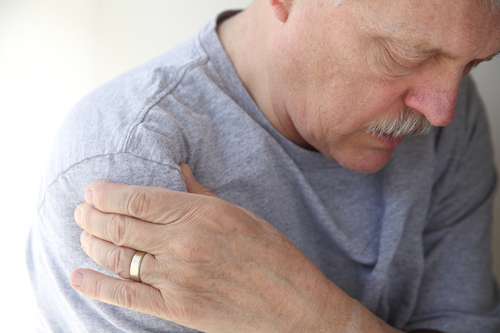 Today, over 100 million Americans deal with chronic pain conditions. Many people think that if they have chronic pain, their choices are limited to opiate prescriptions, illegal drugs, or simply suffering with it. Our country faces epidemic levels of addiction and deaths from opiate abuse and overdose—as well as rising associated costs attributed to secondary medical problems, mental health and addiction problems, disability and accidents, lost wages, etc. There is, however, growing research in the field of chronic pain treatment that provides hope for healthy, and effective alternatives. Chronic pain is not rooted solely in the location of the injury; it also involves the limbic and prefrontal cortex of the brain. This is the part of the brain that remembers and “makes sense” of bodily sensations, resulting in “body memory.” Body memory can, in turn, trigger ongoing pain responses for some people. What percentage of sensation is simply body memory versus tissue damage-related sensation remains a mystery. But what is known is that neuroscience is continuing to reveal more about the role of neuropathways with chronic pain, and that ongoing research and greater knowledge are needed to develop solutions that can avoid the potential for addiction. It’s important to gain an understanding of where we get our views and beliefs about pain and chronic pain, what has influenced us, and what our expectations of relief and treatment are. Presumably, most of us would prefer to be pain-free as much as possible. However, the fact is that experiences come along that impede this, such as aging, injuries, or a wide range of medical conditions. If we consider the expectation that we may not be completely pain-free but that our pain could be reduced to 50% or even 30%, would we not prefer that as an option over suffering at 90 or 100%? Or if we experienced pain some days but not all days? Examining where our “all or nothing” mindset comes from may help us adjust our expectations which can lead to a better quality of life without the risks associated with reliance on opiates. Adjusting our expectations may empower us with day-to-day choices for our functioning versus being at the mercy of the effects of pain medication. Below is a list of resources to begin your research for what might work best for you and to become an educated patient. Share these with your physician and invite him/her to become a part of your treatment team. In addition, knowledgeable therapists, life coaches, or holistic centers can help you work on lifestyle changes and mind-body approaches to address chronic pain.